Your toxic load refers to the level of toxins currently and presently held within your physical, emotional, mental, and soul bodies. The amount of toxins you are carrying on a physical and energetic level dramatically effects your health, well-being, life experience, and your capacity to heal and maintain homeostasis. Understanding and reducing daily life stressors holistically goes a very long way in decreasing your toxic load. Additionally, supporting as much daily relaxation as possible provides a key foundational support for toxic load reduction. Relaxation supports balance within the sympathetic and parasympathetic nervous systems and the endocrine system. These super important areas of regulation within the body directly impact your health and well-being. When you regularly schedule times of rest and rejuvenation, you support harmony and healing on all levels. Stress run amok and left unchecked without resolution can contribute to some intense imbalance on many levels. To truly reduce your toxic load, you need to holistically de-stress. Physical stressors such as pesticides, additives, and chemicals in the food you eat, what you drink, and what you put on your body. The level of purity in the water you drink. The level of pollution in the air you breathe. Physical trauma. A lack of healthy physical boundaries. Emotional stressors such as denying, minimizing, or ignoring your feelings. Not dealing with your feelings in a healthy manner. Emotional trauma. A lack of healthy emotional boundaries. Mental stressors such as spending most of your time in negative thought patterns. Negative and obsessive mental spinning. Self-judgement and criticism. Mental rigidity and a lack of flexibility. Mental trauma. A lack of healthy mental boundaries. Soul stressors such as denying your life’s purpose and passion. Denying your own spiritual truth. Spiritual trauma. A lack of healthy spiritual boundaries. Energetic stressors such as not setting and maintaining healthy energetic boundaries. Energetic and psychic trauma. Being ungrounded. Failing to energetically clear out your auric field, work environment, and living environment on a regular basis. Physical supports such as eating organic foods. Growing your own organic food. Preparing and cooking your own simple meals from scratch. Making sure the water you drink is clean and pure. Using organic shampoos, soaps, lotions, and such. Reading labels and staying away from chemicals, additives, or preservatives in anything that goes into or onto your body. Investing in an air purifier and/or indoor plants. Emotional supports such as not labeling feelings as good or bad. Allowing yourself to feel and process your emotions in a healthy manner. Keeping a journal to help process intense feelings. Finding a creative and joyful outlet that resonates with you such as drawing, painting, cooking, or gardening. Reaching out for professional help when you feel challenged emotionally. 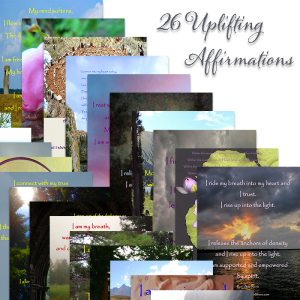 Mental supports such as using daily positive affirmations. Saying no when you mean no. Calling in and embodying a gentle, kind, and loving attitude with yourself. Making a list of all the things you value about yourself. Starting a gratitude journal in which, you record your daily blessings. Soul supports such as simplifying your life when and where you can. Following your heart and intuition into your life’s purpose and passion. Not allowing other people to define your own spirituality. Spending some time each day noticing at least one thing that makes your heart and soul sing. Energetic supports such as clearing and grounding each day. Regularly taking sea salt baths or foot soaks. Investing in a salt lamp. Placing supportive stones such as pyrite and black tourmaline in your environment. If you work at a computer all day, placing a piece of rainbow fluorite between your body and your computer. Make meditation a part of your daily routine. Shift your brainwave pattern, shift your stress levels! There is now a great body of scientific research backing the immense health benefits of routine meditation, with stress reduction being one of many. Remember to breathe! Check in with the quality of your breath daily. Ask: what is the quality and depth of your breath? Are you holding your breath? Are you taking full, regular, slow breaths or are you shallow breathing? Get a massage regularly. Massage helps reduce levels of stress and tension, among many other benefits too numerous to list here. Massage helps you, and your body, remember how to relax and decompress as it supports a parasympathetic state of being—one of rest and repose. Take an entire day off when you don’t do a thing. This is not selfish! If you don’t take care of yourself, you will deplete your well, have nothing left to give to yourself, much less others, and become so stressed and burnt out you will lose any quality of life. Make movement a part of your daily routine. Whether it is a 15-minute walk, 10 minutes of yoga, or 5 minutes of stretching—you don’t have to commit to a gym membership and 3-hour workouts, quite the contrary. Any movement you add to your daily routine goes a very long way in supporting stress reduction. Do what works for you. Live as simply as possible and don’t forget basic self-care; eat when you are hungry, drink when you are thirsty, and rest when you are tired. Provide your body with the foundational support of proper nutrition, supplements, and food. When your body lacks what it foundationally needs to function, it goes into a state of stress, survival mode. You literally are what you eat. Your body uses whatever you put into it to make the building blocks that become the tissues and fluids you know as you. 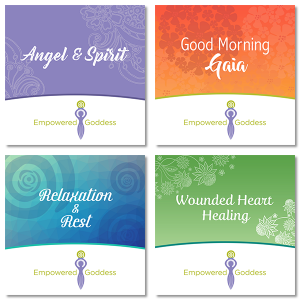 Receive regular energy therapies. You are much, much more than just a physical body! Receiving Reiki and other vibrational medicines on a regular basis supports deep relaxation and balance within your Chakras, meridians, energy channels, and auric field. This goes a long way in supporting proper energetic flow and balance on all levels. With an increased awareness, and a few beginning steps into relaxation, you can easily reduce your toxic load. Before you know it, you will be well on your way to a richer more balanced sense of health and well-being.